There are plenty of “obstructions” to worry about as one gets older. I discovered a new one today: My license plate. According to the Hon. 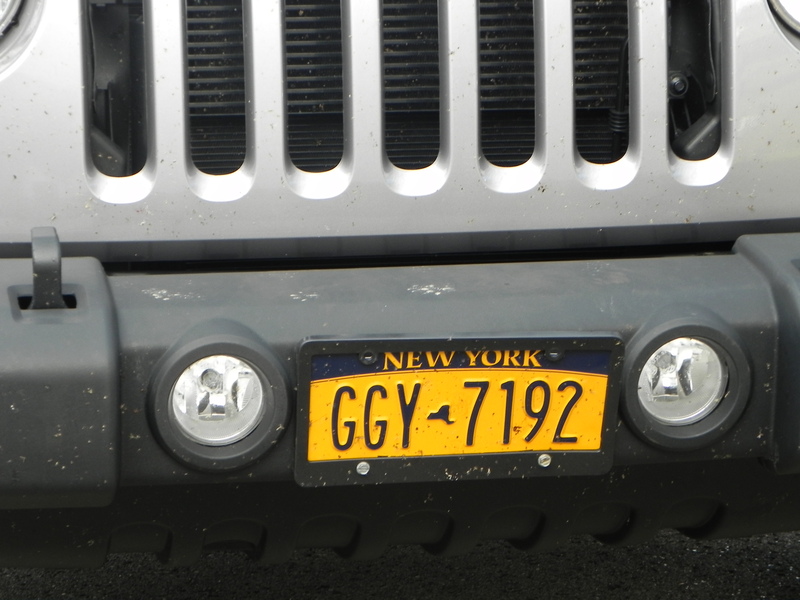 Richard C. Tweddell, Wayland Town Court, my “RAY LAKS” license plate frame violates Section 402 of New York’s Vehicle & Traffic Law. That provision requires every motor vehicle driven or parked on a public highway to have “distinctive” number plates that are not “obstructed” by any part of the vehicle or by anything carried on the vehicle. 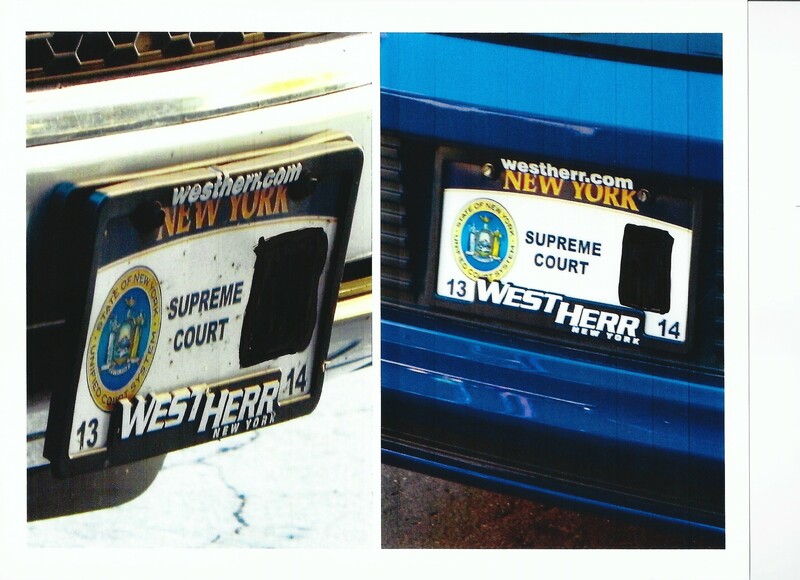 And, if all those vehicles do violate VTL 402(1)(b) – even though the offending plastic frame merely obscures the “Empire State” motto, not the color of the plate, or the “distinctive” license plate number – couldn’t the driver be pulled over AT ANY TIME by an officer who doesn’t like the way the driver, a passenger, or even the vehicle looks? 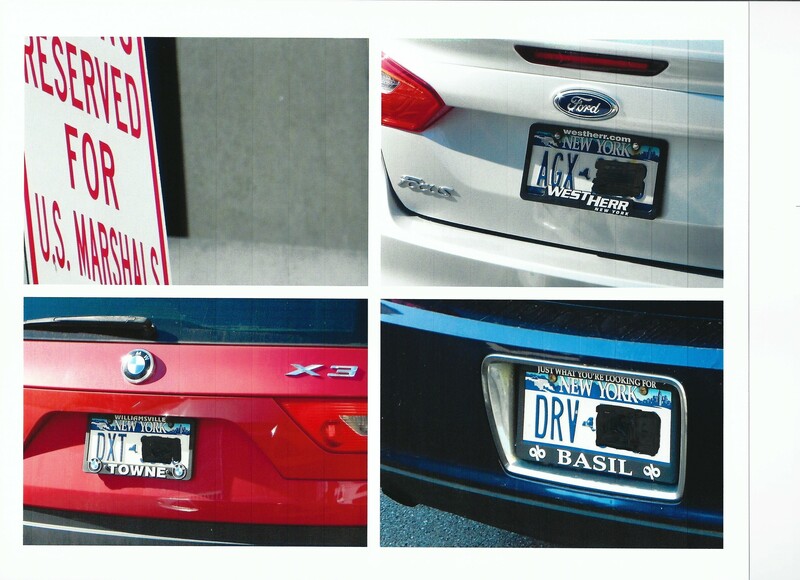 Silly me, not wishing to identify other potential scofflaws, I had altered each license plate to obscure the distinctive license plate number, making the photographs inadmissible. Fortunately, my little Honda Fit gets great mileage when you set cruise control at 65 mph. And, I am, after all, semi-retired, so I had the time to meander on a beautiful early autumn day out Rte. 20A, along the Town of Sheldon wind turbines, through the hamlet of Varysburg, around the village of Warsaw, and eventually, down Main St. in lovely Mt. Morris to I-390 and beyond. I wonder if the offending vehicle’s owner would get ticketed for an obstructed plate? 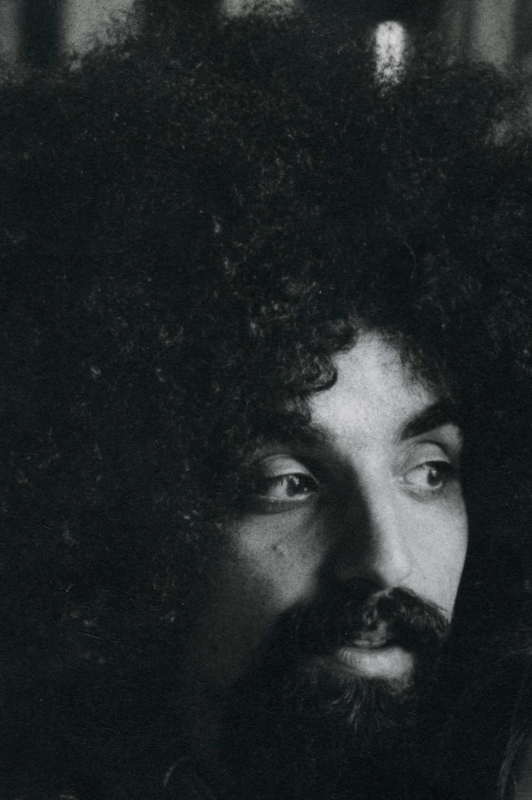 Did you take that offending frame off yet, Counselor? Your fans would like to see the After Shot. Despite your losing day in court, your legwork on the case is impressive. I’m not quite as unintelligent as I look. The obstructing frame was removed prior to my return trip to the Town of Wayland. The important question here is what did you do to get stopped besides the plate? I didn’t get stopped because of the plate. The trooper believed that I had exceeded the posted speed limit. If you truly think the “important question” is why I was stopped, you may have missed the point of my posting. You got stopped for speeding, the officer was nice and gave you a roadside reduction by giving you a no point, no mark on your license crap ticket and you return the favor by wanting to plead Not guilty and wand a trial. Around here the officer would have handed you a speeding ticket when he showed up for the trial. A smart person would have pled guilty and probably got by a lot cheaper than he did. The point I take of your post is you whine a lot. Sorry for the delay in approving your comment. I had a very busy week “whining” out there in the real world. 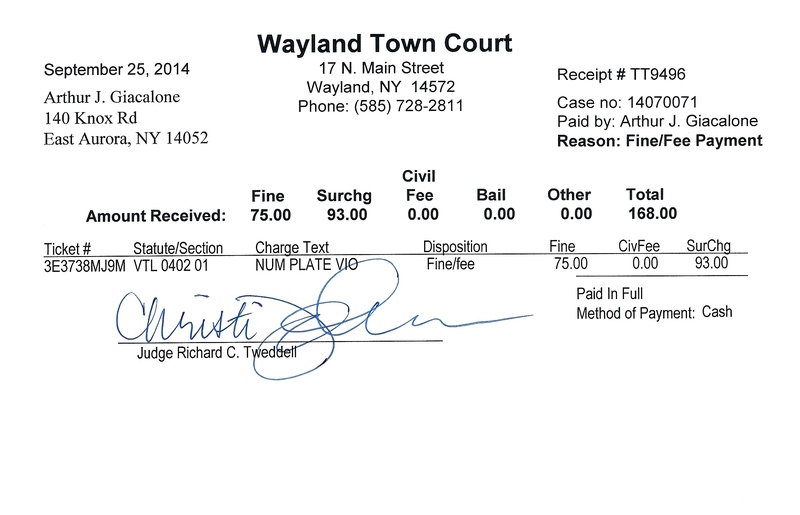 If all I cared about was making life easy for myself, the rational thing for me to do would have been to plead guilty, save a trip to the Town of Wayland, pay the fine [which, by the way, would have been $75 plus a surcharge], and then happily forget about the incident. But that’s never been the way I approach the law. I certainly knew that by pleading “not guilt” and showing up in court to fight the non-moving violation, I was risking being handed a speeding ticket. I took that chance. 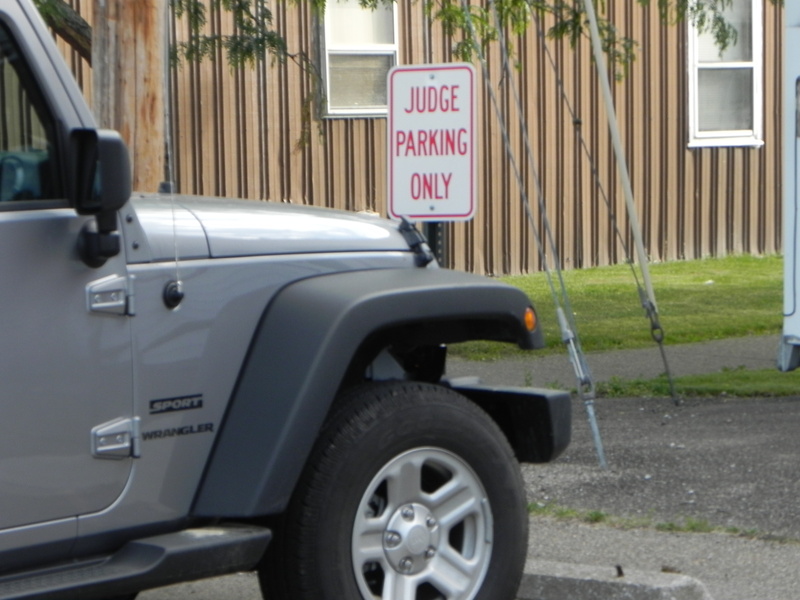 Both the trooper and the judge threatened me with the moving violation. I told them both that I thought a belated speeding ticket would be unfair given the fact that I could no longer challenge the accuracy of the radar equipment. I spoke one-on-one with the trooper before the trial, expressed my appreciation for “the break” I had been given, and then explained why I had pled “not guilty”: If my plate’s condition is truly a violation of the V&T Law, the vast majority of drivers – including law enforcement personnel and Supreme Court justices – appear to be unaware of that fact. Moe importantly, from my perspective, it means that law enforcement personnel anywhere in NYS can use the “obstructed license plate” excuse to justify stopping any vehicle with a similar frame [probably 40 to 50% of the vehicles on the road] any time he or she didn’t like the color of someone’s skin, the bumper sticker on a car, or just to harass someone. That’s the point that concerns me, someone who used to get stopped on the thruway because of my appearance, and someone who reads and hears reports all the time about individuals being stopped for no other reason than DWB or DWL- Driving While Black/Latino. I was hoping – but not expecting – that the judge would place the intent of the law over his unhappiness with my plea, and rule that the V&T Law had not been violated. It didn’t work out that way.